IT, telecom, e-commerce, manufacturing, IoT products…Is IoT the Next Big Thing? India didn’t capitalize on previous information technology waves of mainframes, PCs, and smartphones while countries like USA, South Korea, Taiwan, and China have taken full advantage of these past computing and communication waves. India cannot afford to miss the current IoT wave, which is essential to close the gap with countries like China. It must be treated as a national security issue. Over the last two decades, India has been able to make inroads into “services” and started to push “manufacturing” recently. But, this is the time for India to focus on hardware and software “products” in addition to services and manufacturing. IoT enables “the next hardware innovation” cycle and it is a perfect opportunity for new entrants. There will be tremendous opportunities to innovate from components to devices to systems to data centres to software analytics to services. The first wave of internet with PCs created companies like Google, Yahoo, and Amazon etc. and gave growth opportunities to companies like Intel, IBM, Dell, and Microsoft etc. The second wave of internet with smartphones created companies like Facebook, Twitter, and Xiaomi etc. and gave growth opportunities to companies like Apple, Samsung, Qualcomm, and Mediatek etc. The next wave, the IoT wave is an opportunity to create new companies and global brands as well as growth opportunities for existing companies and brands. Today, life without Internet and smartphones is unimaginable. They have become an integral part of our lives. They have become an extension to our brain to store and process information. Starting from daily chores to managing huge data of companies and nations, it is omnipresent. In fact, the significance of internet has increased manifold since the day it took shape, and now thanks to The Internet of Things (IoT), it will be even more pervasive. 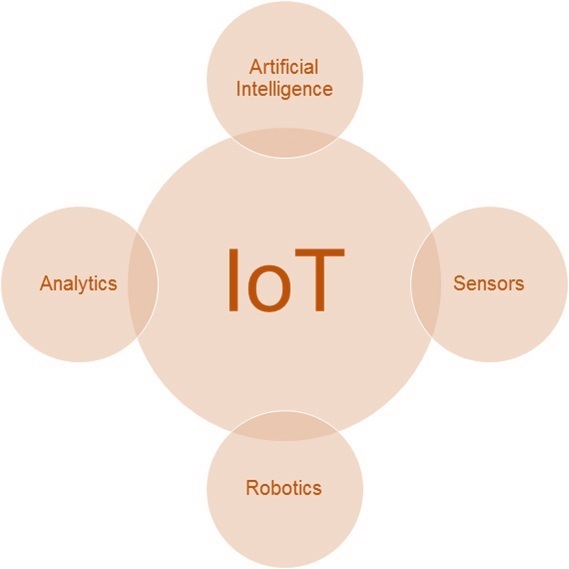 IoT will take internet, smart devices and systems of today much beyond its conventional realm, by integrating advanced technologies such as sensors, artificial intelligence, robotics and analytics. These devices and systems will start communicating to each other in the background and provide us with highly personalized choices and timely solutions. IoT will make people, homes, enterprises, cities and nations smarter. IoT will improve efficiency and efficacy of humans leading to better life, productivity, security and safety.